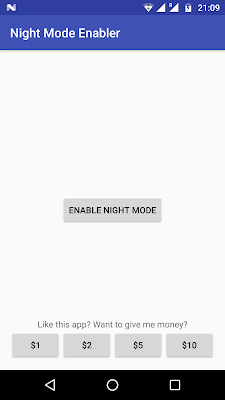 Everyone likes the night mode settings. It puts less strain on your eye. You must have used f.lux on your PC or laptop. 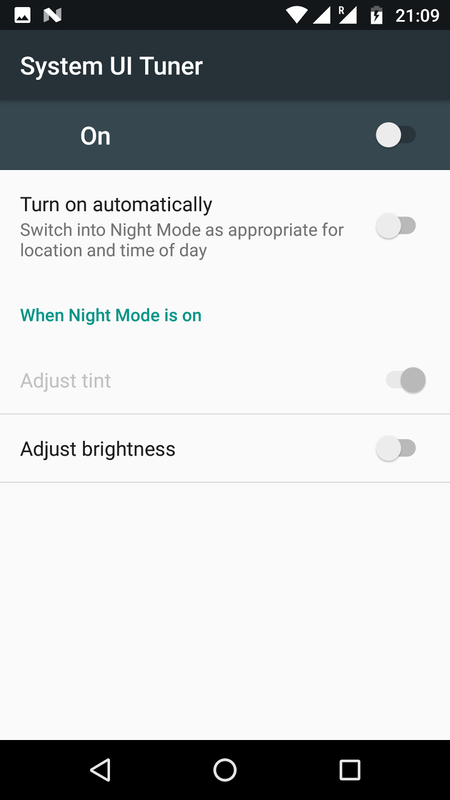 Google's Pixel phones have this feature where you can just toggle night mode. However other models don't. 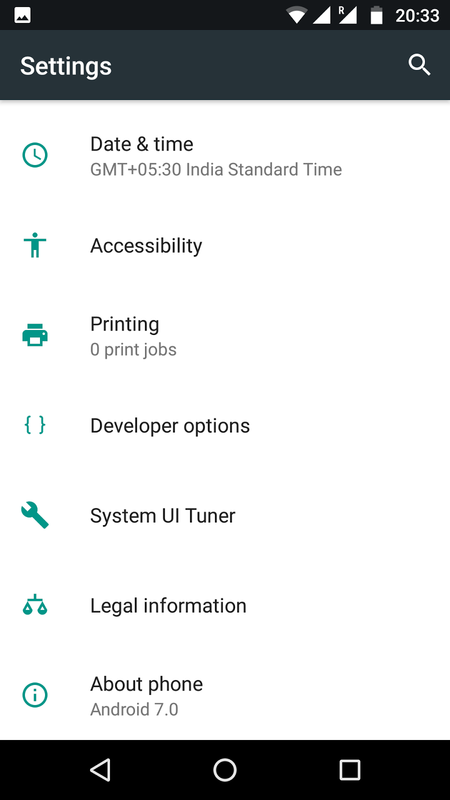 There might be vendor specific feature as well. 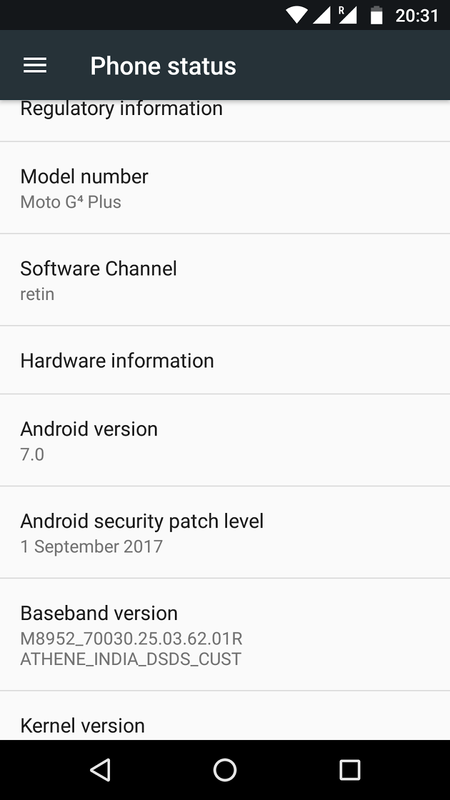 Like some Samsung models might offer this. Night mode was provided in hidden System UI tuner section in the beta build of Android N and was completely removed in the final build. 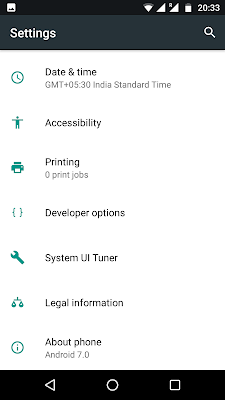 However code still resides in the build and can be turned on. It is not that easy though. And this is exactly what we will see. NOTE : This feature was altogether removed on Android 7.1 so below workaround will only work with android 7.0 Android N.
How to check if I have Android N 7.0? 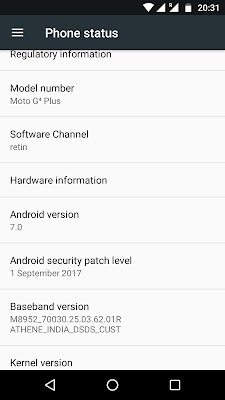 You should see 7.0 there. 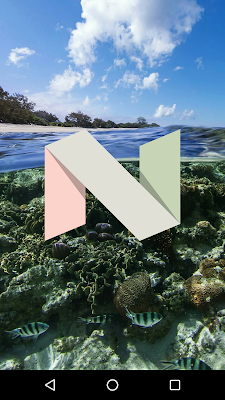 You can also tap it 3 time to see a nice Animation of Android N.
First we need to turn on the hidden System UI tuner. 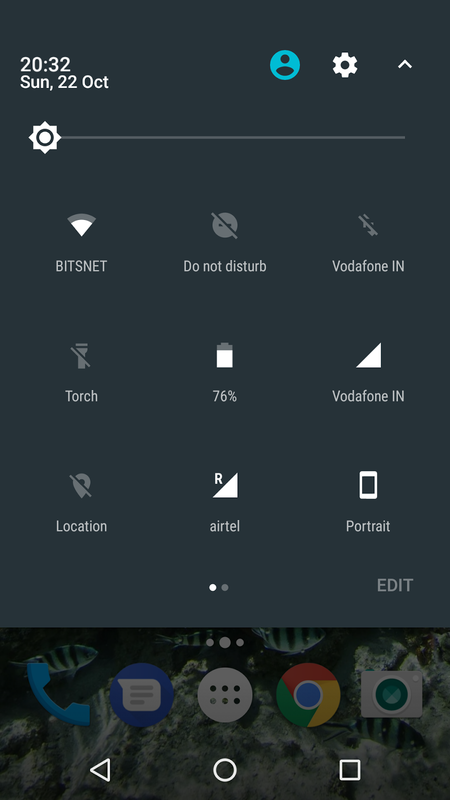 Pull down the notification tray twice and you should see the settings shortcut (cog icon). Long press it and release. 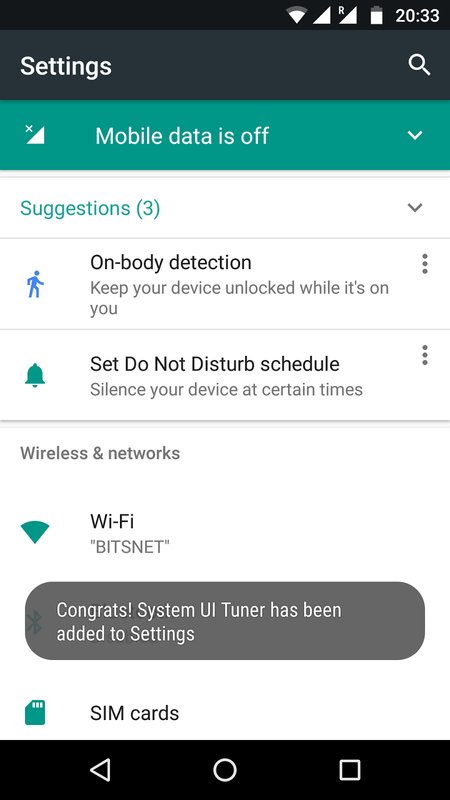 You should see a toast message saying System UI Tuner has been added to settings. 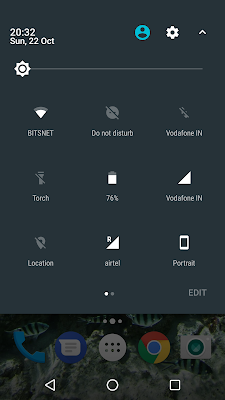 You should also start seeing wrench icon beside the cog icon indicated the UI Tuner has been enabled. 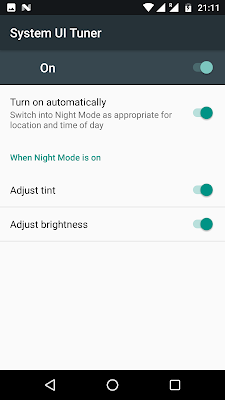 Open the app and select "Enable Night mode". 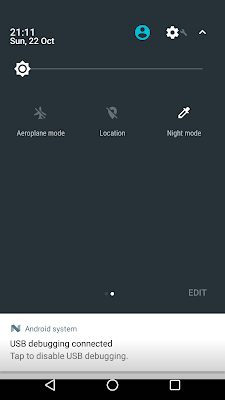 This should take you to the night mode setting in System UI tuner which was not accessible before. 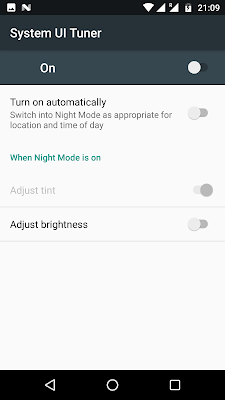 You can now simply toggle to set night mode automatically based on device time. 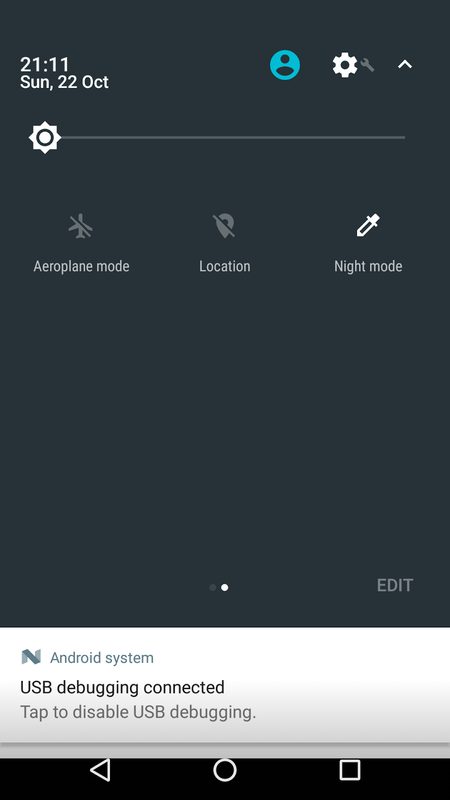 You can also optionally allow to change brightness as well. Lastly night mode setting should now be present in your notification tray as well for quick access and toggle. This approach worked fine for me. 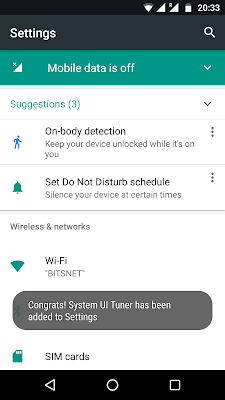 Let me know if you face issues.